Aved Electronics, Inc. of North Billerica, MA introduces new, high precision end-of-line and validation test equipment for high power battery pack production. 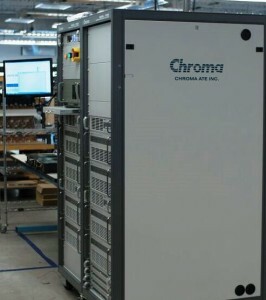 In a continuing effort to provide safe, reliable, and robust battery solutions to our OEM customers, Aved has made significant investment in introducing a Chroma 17020 Regenerative Battery Pack Test System to our production facility. The Chroma 17020 System is a high precision integrated solution specifically designed for secondary battery module and pack tests. Accurate source and measurement ensure the test quality that is suitable for performing exact, reliable testing crucial for battery module/pack incoming or outgoing inspection as well as capacity, performance, production and qualification testing. Aved’s installed system includes 32 independent channels each capable of handling 60V and 1250W. Channels may be easily paralleled to support higher current requirements. 192 Data Logging channels provide resolution to string voltages within assemblies to assure proper power management and distribution within the battery pack. These features provide ultimate flexibility between high channel count and high current testing. The system architecture offers regenerative discharge energy design to recycle the electric energy sourced by the battery module/pack to channels in the system performing a charging function or back to the utility mains in the most energy efficient manner. This capability saves electricity, reduces the facilities thermal foot print, and provides a green solution by reducing the environmental impact on our planet. Advanced driving hardware can create seamless transitions between a maximum charge to maximum discharge (or maximum discharge to maximum charge) with a rapid 10mS conversion. This feature allows for charge/discharge modes simulating real world scenarios. Chroma’s Battery Pro software allows Aved to create or import customer specific usage profiles and conveniently analyze and report performance. Communication protocols used on the BMS (Battery Management System) within the battery pack also report seamlessly to the test equipment. 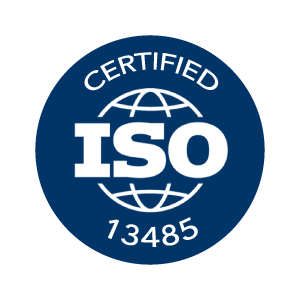 “We are excited to bring this new level or product assurance to our customers. This Chroma 17020 System allows further flexibility in meeting Aved’s increased market needs,” Kurth added.